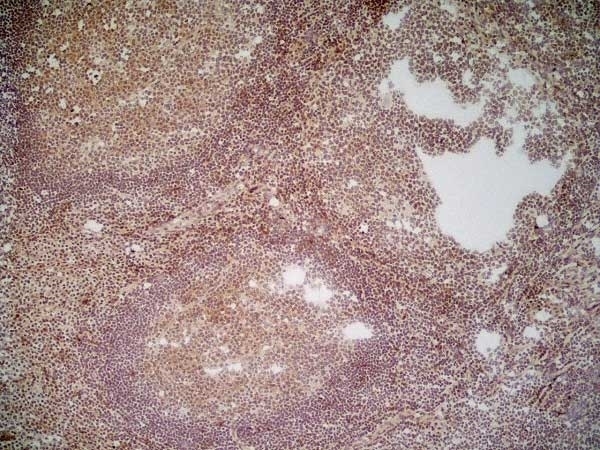 Mouse anti Human CD70 antibody, clone Bu69 recognises human CD70, also known as CD27 ligand (CD27-L) or Tumor necrosis factor ligand superfamily member 7. 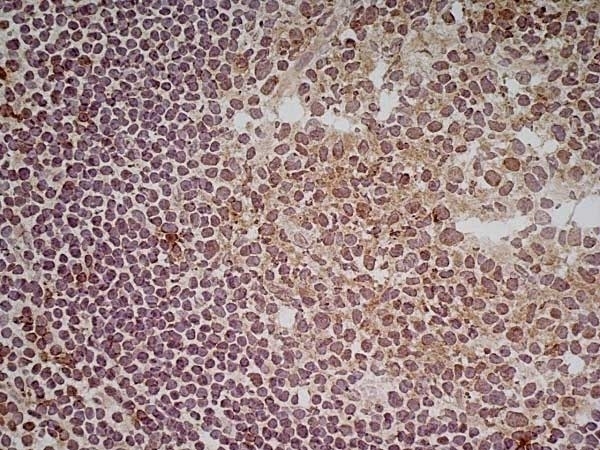 CD70 is a 193 amino acid ~29 kDa single pass type II transmembrane glycoprotein belonging to the tumour necrosis factor (TNF) family (UniProt: P32970). CD70 is expressed on a small number of activated T-cells and the majority of activated B-cells (Bowman et al. 1994). Interaction of CD70 with its receptor, CD27, is thought to play an important role in lymphocyte activation, proliferation, survival and differentiation (Hintzen et al. 1994). Mouse anti Human CD70 antibody, clone Bu69 has been used for the inhibition of neural stem cell induced apoptosis of allogeneic T cells in vitro (Lee et al. 2013). Garland Publishing. 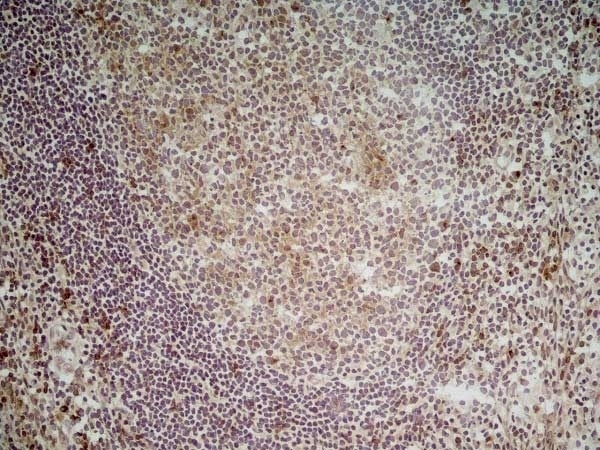 (1997) Leucocyte typing VI. White cell differentiation antigens. Zambello, R. et al. (2000) Analysis of TNF-receptor and ligand superfamily molecules in patients with lymphoproliferative disease of granular lymphocytes. Lee, E.M. et al. 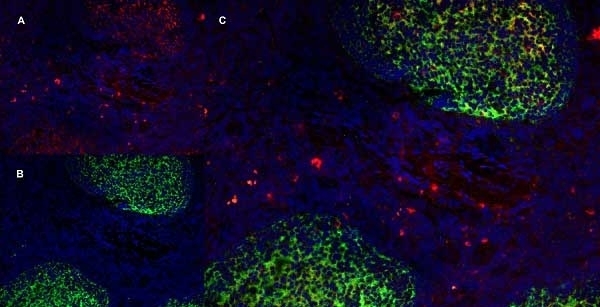 (2013) CD70-CD27 ligation between neural stem cells and CD4+ T cells induces Fas-FasL-mediated T-cell death. Stem Cell Res Ther. 4 (3): 56.